Rectangular plaque in landscape orientation, crafted in jade glass on a matching glass base, featuring a 3D golf ball inset. The flat front of this plaque provides a large area for engraving, and they are offered with text and/or logo engraving options. 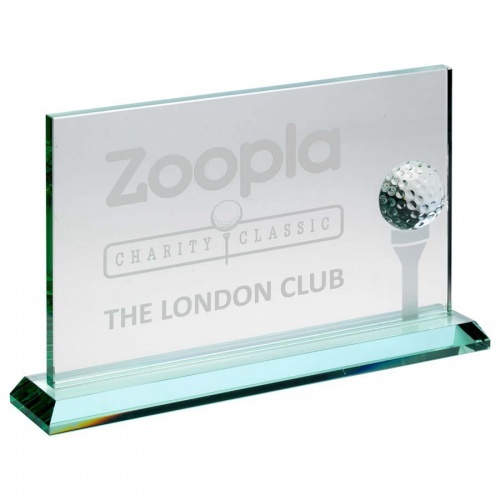 Each of these landscape glass golf plaques is supplied in a quality presentation case.